A new documentary smashes stereotypes about the portrayal of disabled people in film, with the aim of improving inclusion for directors, actors and writers with disabilities. The film, directed by Adrian Esposito, is an ambitious project that chronicles the portrayal of people with disabilities in Hollywood throughout history. 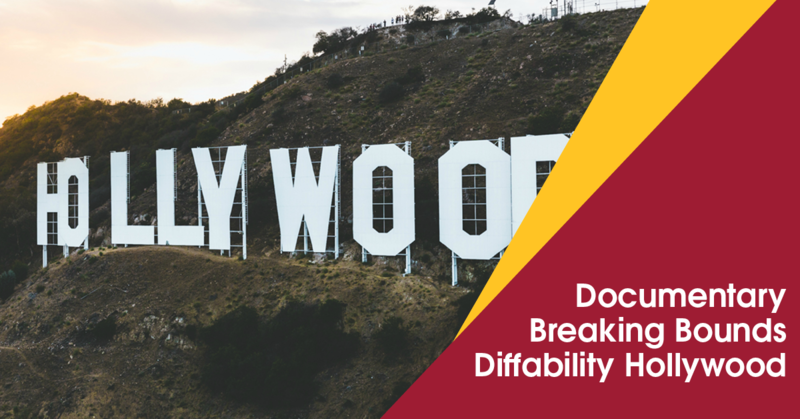 Diffability Hollywood is a confronting look at the prejudices that have faced disabled people and the challenges they have faced in terms of inclusion and representation. Frustrated by the limited representation of disabled people in film, director Esposito wanted to work on a project that smashed old stereotypes and reframed disability so that people would think of them as “different abilities” instead of something that was “less than” or disempowered. Esposito has autism himself, so this was a highly personal journey for him, and it was important for him to serve as a spokesperson for those working to help create a more accepting environment for those with disabilities, or as he sees it, "diffabilities” – which is reflected in documentary’s title. True to its name, Diffability Hollywood features a star-studded cast of celebrities who all have their own disabilities. Edward Barbanell, Jamie Brewer, Chris Burke, Johnny Knoxville, Lauren Potter and Danny Woodburn all feature, giving the project a unique insight into disabled representation in the film industry. The documentary also showcases the Museum of disABILTY, where a large part of the film was shot. Museum curator Doug Platt also talks about the ways that characters with disabilities are portrayed in popular culture. The museum is hosting a special screening of Diffability Hollywood on June 17 to celebrate the release. With its historical perspective and empowering narrative, Diffability Hollywood is a film that needs to be seen by everyone. Esposito has created an thought-provoking documentary that challenges perceptions and encourages inclusion for people with disabilities, and his passion for the subject matter is evident throughout - this is a film that can open hearts and change minds.